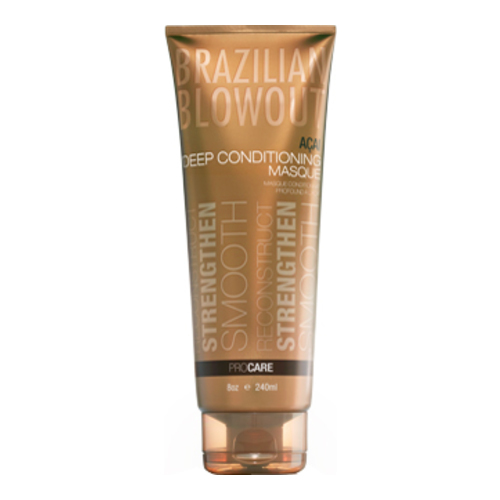 A hair masque that eliminates the frizz, promotes shine and delivers long-lasting smoothing results. A creamy rich, intense conditioning formula that reconstructs, strengthens and smoothen the hair by coating each strand with an exclusive Brazilian Super-Nutrient Complex. A masque is essentially a type of hair treatment and deep conditioner, while a serum is a hair care solution that gives hair additional shine and less frizzy. This complex repairs and fortifies the hair while eliminating frizz, promoting shine and guaranteeing the longest lasting smoothing result. • Reconstructs and strengthens the hair. • Infuses strands with intense hydration. Water, Cetearyl Alcohol, Behentrimonium Chloride, Phenyl Trimethicone, Amodimethicone, Hydrolyzed Keratin, Arginine (L Arginine Hydrochloride), Glycine, Alanine, Serine, Valine, Proline, Threonine, Isoleucine, Mistidine, Phenylalanine, Sodium PCA, Sodium Lactate, Aspartic Acid, PCA, Theobroma Cacao (Cocoa) Seed Butter (Cocoa), Euterpe Oleracea (Acai Fruit) Extract, Myrciaria Dubia Fruit Extract, Bixa Orellana (Annatto) Seed Extract, VP/Dimethylaminoethylmethacrylate Copolymer, Citric Acid, Disodium EDTA, Phenoxyethanol, Caprylyl Glycol, Ethylhexl Glycerin, Hexylene Glycol, Fragrance. 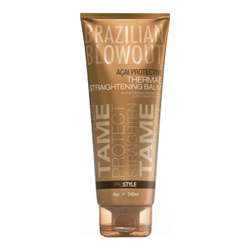 • Apply Acai Deep Conditioning Masque generously throughout wet hair from root to tip. • Leave in 10-20 minutes and rinse thoroughly. 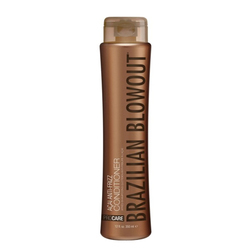 • For intensive results, leave in hair overnight and rinse thoroughly in the morning.